Klook Exclusive: From 1 Apr-31 May 2019, purchase tickets through Klook and get up to 30% off for admission! Chinese, English, and Japanese audio guide via mobile app download is available for free! Ever wanted to be a part of a real painting? 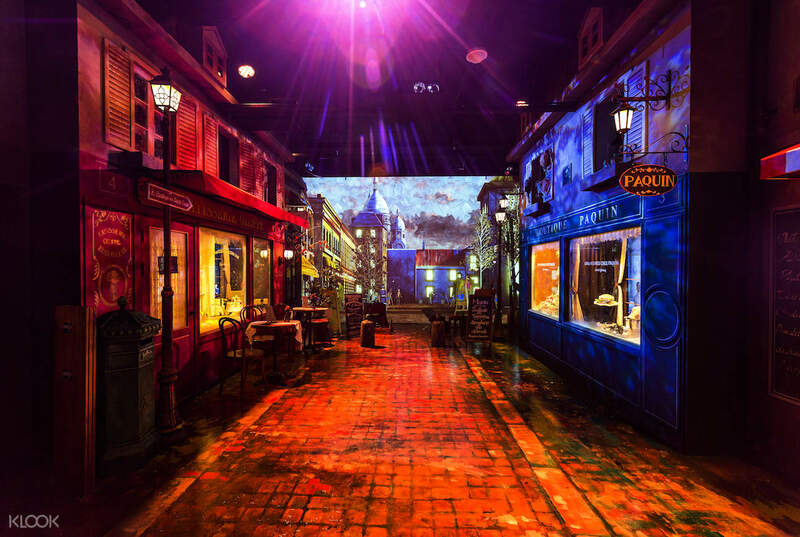 Check out L'atelier, an interactive art museum in Dongdaemun, Seoul. The pieces you'll be seeing here aren't regular static paintings, but moving ones where you can touch and sometimes even talk to! 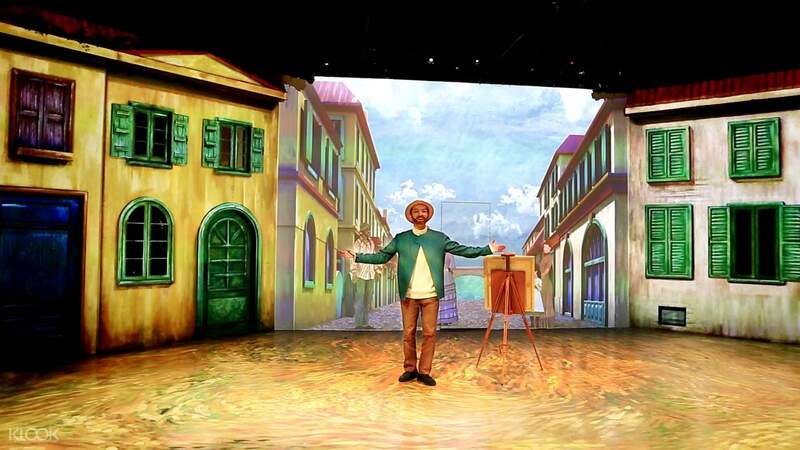 Enjoy various musicals and hologram shows such as a musical on Van Gogh's dream of becoming a painter, a mixed media presentation of Monet's water lilies, and more. Visit this Instagram-worthy spot and take numerous photos of yourself placed in different 19th century France locations, like Place du Tertre and Montmartre. The best part? 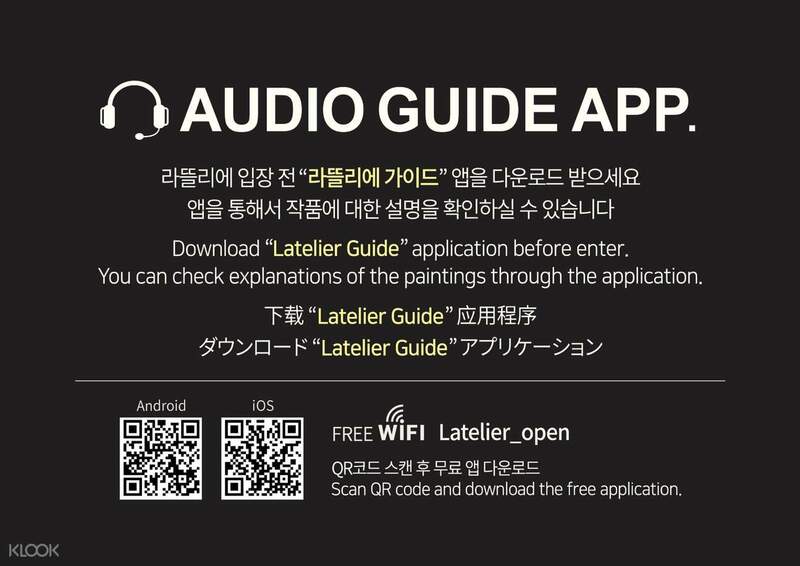 You'll get to enjoy in-depth explanations about the paintings inside with their free audio guide app, Latelier Guide, which can be downloaded directly on your phone for a fully hassle-free experience. L'atelier is definitely every art lover's dream come true and a grand experience for anyone who visits! Had a wonderful time inside this interactive museum! I went here for the love of Van Gogh but it offered so much more. 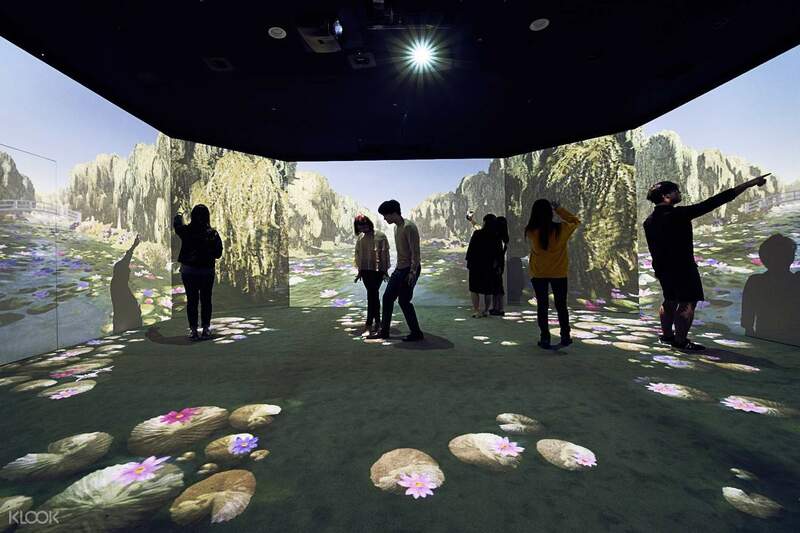 You’ll have a plenty of activities to do inside the museum - color sheets of your chosen pattern while staring at the Starry Night, watch a live one-man show featuring an artist playing Van Gogh (in Korean though) against an interactive backdrop of Arles, a visit inside Van Gogh’s room, immerse yourself in art with a 360 multimedia Monet show, have coffee and snacks together with imagined characters on a moving Night Cafe backdrop, chase a holographic mystery case with Emile Zola (in Korean though), and talk to select interactive “paintings” such as Joseph Roulin. As you walk along the hallways, you’ll find aplenty of hidden jems as you discover much more of these “moving paintings”. Last stop is a gift shop where you can have your hearts full of Van Gogh memorabilia. TIP: download the L’atelier app before going in the museum to listen to the English translations of the shows which you can play as you watch them live to truly appreciate the shows. Had a wonderful time inside this interactive museum! I went here for the love of Van Gogh but it offered so much more. You’ll have a plenty of activities to do inside the museum - color sheets of your chosen pattern while staring at the Starry Night, watch a live one-man show featuring an artist playing Van Gogh (in Korean though) against an interactive backdrop of Arles, a visit inside Van Gogh’s room, immerse yourself in art with a 360 multimedia Monet show, have coffee and snacks together with imagined characters on a moving Night Cafe backdrop, chase a holographic mystery case with Emile Zola (in Korean though), and talk to select interactive “paintings” such as Joseph Roulin. As you walk along the hallways, you’ll find aplenty of hidden jems as you discover much more of these “moving paintings”. Last stop is a gift shop where you can have your hearts full of Van Gogh memorabilia. TIP: download the L’atelier app before going in the museum to listen to the English translations of the shows which you can play as you watch them live to truly appreciate the shows. It was an amazing adventure into the world of Art and dreamy views and musical performance. I love all the works of art in the museum and the breathtaking views. We took so many good pictures. The staff there are so friendly and helpful and they explained for us carefully about the meaning behind each pictures of the artists. In general I am satisfied with the money I had to pay for. It was an amazing adventure into the world of Art and dreamy views and musical performance. I love all the works of art in the museum and the breathtaking views. We took so many good pictures. The staff there are so friendly and helpful and they explained for us carefully about the meaning behind each pictures of the artists. In general I am satisfied with the money I had to pay for. This place is awesome. 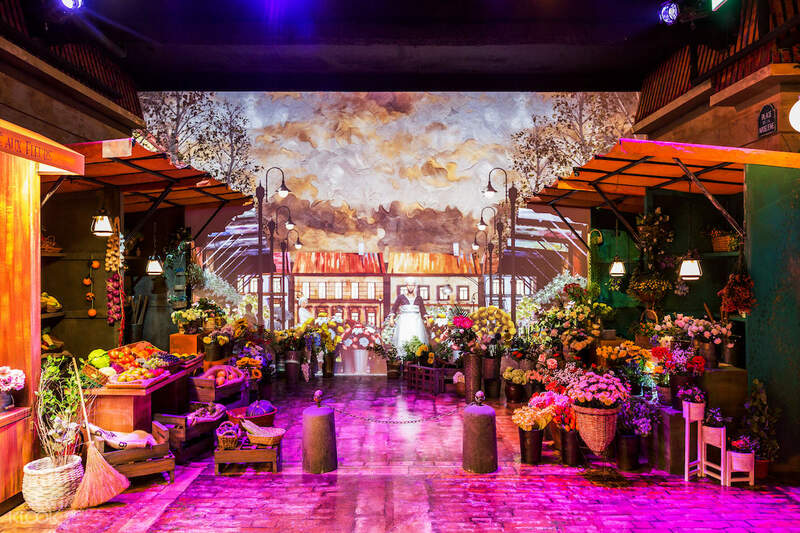 It allows one to renaissance the popular artists like vangoff and paul with the musical shows and performances. The art pieces are really beautiful as some are moving pictures which looks interesting. There are audio translators for foreigners as shows are in korean. I especially love the stage lighting and friendliness of staffs . Worth the trip. This place is awesome. It allows one to renaissance the popular artists like vangoff and paul with the musical shows and performances. The art pieces are really beautiful as some are moving pictures which looks interesting. 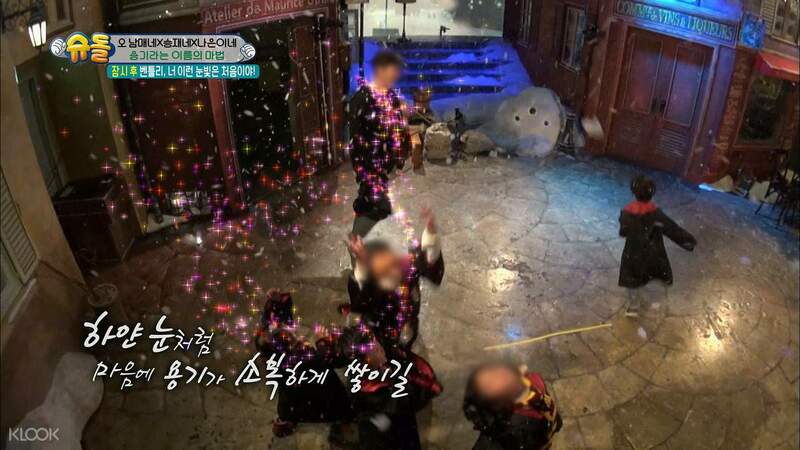 There are audio translators for foreigners as shows are in korean. I especially love the stage lighting and friendliness of staffs . Worth the trip. It was very fun, and different. They have a Café indoors, and you can leave at anytime and come back inside again the same day. It was very fun, and different. They have a Café indoors, and you can leave at anytime and come back inside again the same day. Very nice experience and easy to avail via klook. Such a unique experience. Lucky there were less people when we came so it’s easy to take photos. Very nice experience and easy to avail via klook. Such a unique experience. Lucky there were less people when we came so it’s easy to take photos. it was a nice experience. never had that kind of performance in my country. i highly recommend this tour. it was a nice experience. never had that kind of performance in my country. i highly recommend this tour. Easy redeem! Free Postcard! Great museum. Buy it from klook! Easy redeem! Free Postcard! Great museum. Buy it from klook! 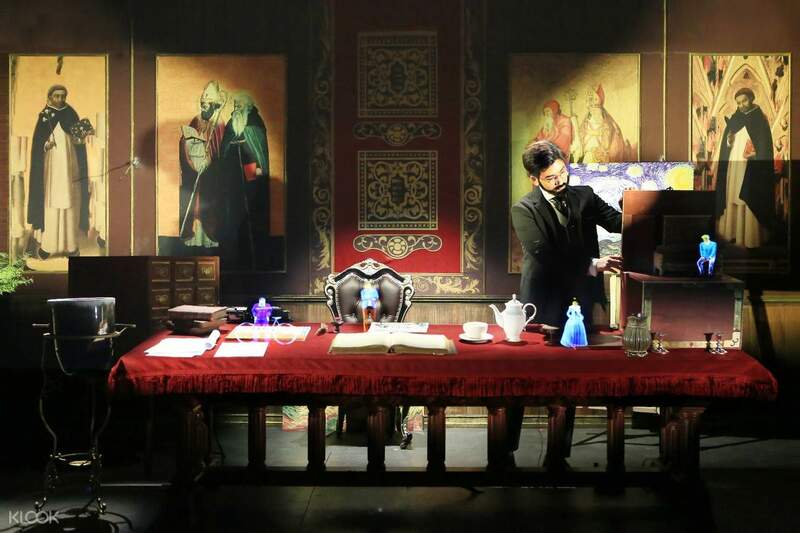 It’s a interesting trip and we can take many photos here that make us become the characters inside the painting. All the things are fascinating and the staffs are nice. Hope that we can go again. It’s a interesting trip and we can take many photos here that make us become the characters inside the painting. All the things are fascinating and the staffs are nice. Hope that we can go again. It is a must-visit for people who are art lovers, especially impressionist enthusiasts. The location could be a but difficult to find as it is at the back. But one can always ask the locals around. As a Vangogh fan, i was amazed by this exhibit. It is a must-visit for people who are art lovers, especially impressionist enthusiasts. The location could be a but difficult to find as it is at the back. But one can always ask the locals around. As a Vangogh fan, i was amazed by this exhibit.